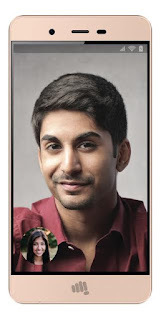 Micromax has partnered with Google to announce the launch of its Vdeo range affordable smartphones .Micromax Vdeo range is country’s one of the most affordable 4G VoLTE smartphone with pre-loaded Google Duo app. Micromax has launched two smartphones under the Vdeo Range - Vdeo 1 and Vdeo 2, which is a complete package with 4G VoLTE. The smartphones also come with a pre-bundled Reliance Jio SIM, which offers three months of unlimited free data and voice calling option to all the Vdeo users. With Google Duo, pre-bundled Reliance SIM, 4G VoLTE, the company wants the consumers to immediately start enjoying the benefits of both 4G and the Duo App. The smartphone will power the next phase of smartphone adoption in the country by hand-holding consumers to upgrade to smartphones. In the coming months, the company will be extending the Vdeo range with the introduction of Vdeo 3 and Vdeo 4. Micromax’s Vdeo range, Vdeo 1 & Vdeo 2 feature a 4-inch & 4.5-inch WVGA & FWVGA display powered by a 1.3 GHz Quad Core processor with 1GB of RAM and 8GB of internal storage.Dual SIM device Vdeo 1 & Vdeo 2 come pre-loaded with Android Marshmallow 6.0 The smartphones also sport a 5MP rear camera and a 2MP front camera. Vdeo 1 is packed by a 1,600 mAh battery whereas the Vdeo 2 features a larger 1,800 mAh battery. Micromax Vdeo 1 is Priced at Rs. 4,440 and Vdeo 2 is priced at Rs. 4,990 respectively.